Last week, Hurricane Florence slowly made its way through North Carolina and South Carolina. While she wreaked havoc on the coast, she also made a mess in the Piedmont where Practical Software Solutions is located. While the Carolinas aren’t in the hurricane cross hairs as much as other parts of the United States, most coastal residents — especially those in flood zones — understand the risk of living in the area from June to November. Even now, more than a week after Hurricane Florence passed through the coast, many homes and highways are still under water. I’ve lived in the southeast since 1975, and not much has changed in the messages experts give to residents on how to prepare for hurricane season: Have a store of bottled water and canned goods, keep flashlights and batteries on hand, make sure your cell phones are charged, fill your tank with gas, have a supply of cash on hand, gather your important papers in a strongbox, and if a hurricane is coming your way, be ready to leave if you’re in an evacuation zone. These recommendations are great for home. However, business owners have much more on their minds during hurricane season. Interestingly, how business owners should prepare is not broadcast as much as tips for residents. Hurricanes hit indiscriminately. They don’t care if you’re a construction company, a discrete manufacturer, a greenhouse grower, or any other type of company you can think of. Two of the things businesses should prepare for ahead of hurricane season — or any time of year — are physical assets and data storage. Let’s take look at what businesses can do to protect themselves, even when the worst happens. One of my favorite Sage Success Story videos features the Del Papa Distributing Company, which at the time was located in Galveston, Texas. I’ll admit it: It makes me laugh seeing Crystal Bryan, the company’s former Director of Financial Services, going around saying, “There’s a tag!” on all the items Del Papa tracks via bar code scanning through Sage Fixed Assets. But it wasn’t the only video Sage produced while they were visiting Del Papa. On Sept. 13, 2008, Hurricane Ike made landfall on Galveston Island, causing widespread devastation in its path. A second, more serious video showed how the hurricane impacted the company, which moved to nearby Texas City on the mainland in 2012. The Anheuser-Busch distributor had a bit of serendipity come its way after the storm. 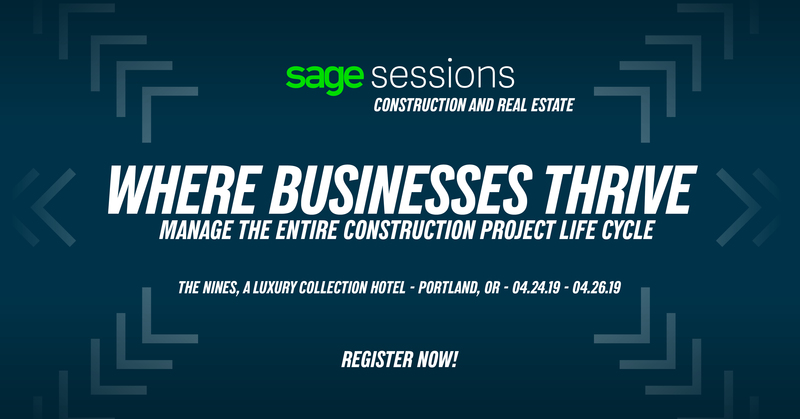 Because the company was using Sage Fixed Assets to track all of their assets (including ones the company already owned and any new asset that came in), it helped make disaster recovery a breeze. Not only was Bryan able to pull up a list of all of their assets lost in the storm, she was able to track each asset down to the room in which building. You don’t have to be on the coast to experience a natural disaster. The Midwest sees its share of tornadoes during the spring. The West Coast is prone to mudslides and massive wildfires. The Great Lakes region is prone to massive snowstorms during the winter. Even random events, like when Hurricanes Frances and Ivan caused massive flooding in Asheville, North Carolina, up in the mountains. Back in 2004 when those hurricanes hit, there was nothing much you could do about your paperwork and data except cross your fingers. The idea of storing all a company’s paperwork digitally was in its infancy. And if files were digitally stored, they were most likely on some type of local storage on site. Now, digital document management is a common tool in the business world, whether its a product like DocLink from our friends over at Altec or Sage Paperless Construction. On a day-to-day basis, products like these help companies increase efficiency and reduce errors caused by mismanaging paper documents. And unlike in 2004, critical data and documents now can be backed up or stored on private or public cloud servers. If your company in Charlotte is under threat of any natural disaster, your data can be protected in Portland, Oregon; Portland, Maine; or in a port city halfway around the world — or all three at the same time. With online document management, even if a company’s computers are destroyed, critical data may not be lost forever. In today’s online world, a company can still process payments, send invoices, and numerous other functions — even in a disaster — thanks to cloud-based technology. While it may be hobbled, business life potentially can limp along until a complete recovery happens. We highly recommend companies make sure they’re prepared for whatever disaster may befall their physical property and data. With today’s technology, that’s easier than ever.